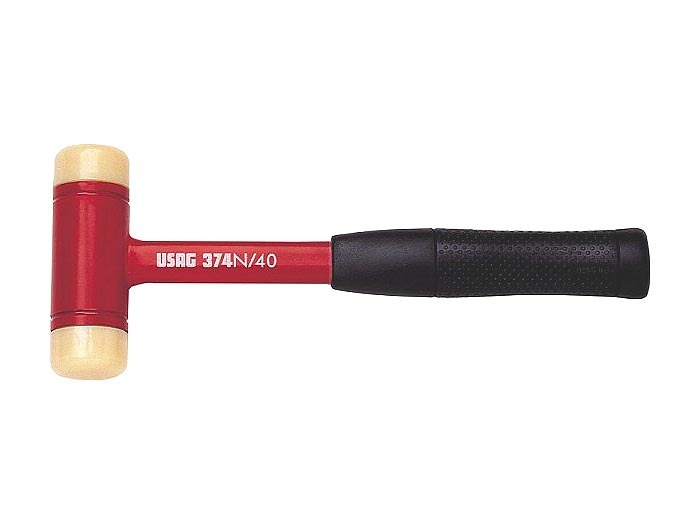 USAG Shock Absorbing Plastic Tip Mallet (50mm tips) - this is a cross between Facom's (expensive) 212A and 216 series hammers. The plastic tips are replaceable and the head is partially filled with metal pellets to absorb rebound. Nicely finished carbon steel body with a comfortable PVC grip. Available in 4 sizes...35mm, 40mm, 50mm and 60mm tip diameters. Made in Italy.